today's polish is Essie Super Bossa Nova, a saturated berry pink. it's a pearl with a slight amount of blueish shimmer. 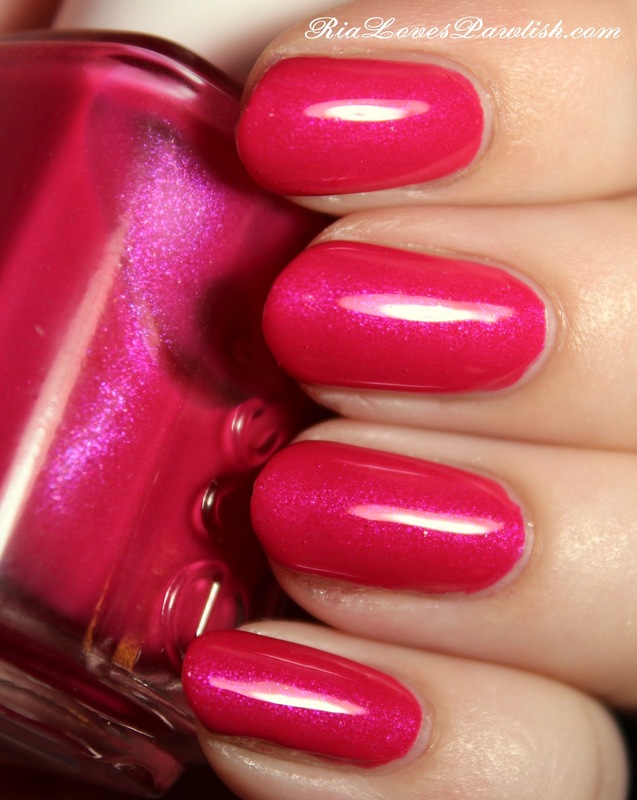 it has a lovely formula that is easy to control and opaque in two coats. my complaint with this polish is that it dries dull. it doesn't look matte, just dull... to me, it's just not pretty at all. it ate up the topcoat, i had to use three coats to get it nice and shiny... however, once you get it all shined up, it's gorgeous! one coat Seche Base, two coats SBN, three coats Seche Vite. I know exactly what you mean. I need my polish to dry shiny also. It is really pretty though. This looks gorgeous with the top coat. I can go either way with matte. I think some looks really suit it but sometimes it looks awful.